I have to give credit where credit is due for the idea of posting about “simple” things. Amelia from YouCanAlwaysStartNow and I collaborate regularly on ideas for posts like travel, life, monthly challenges, as well as many other things. Today’s simple things ideas is all about household sponges and some of their many uses. All you need for endless loads of super-soft laundry is a sponge (or a few), water, fabric softener and a sealed container. These never-ending DIY laundry sheets are built to last, they’re easy on your wallet, and it’s an easy way to be environmentally friendly. Mix the fabric softener and water in the resealable container. 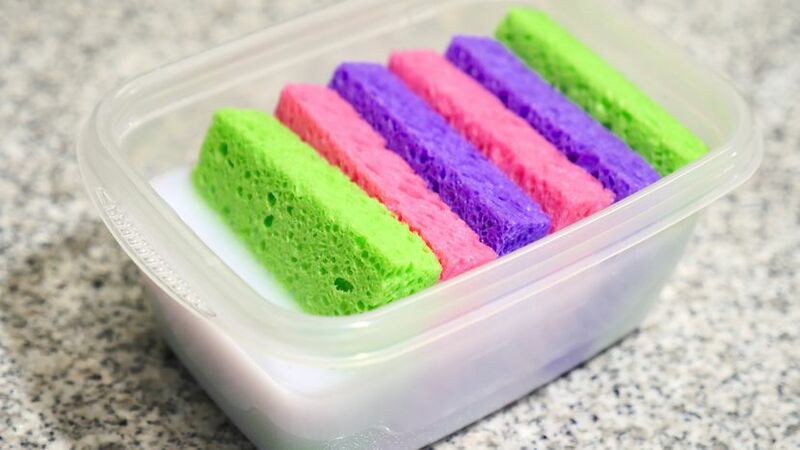 Cut the sponges in half and place them in the container. Let them soak up the liquid completely. The next time you do a load of laundry, take one sponge out. Squeeze the sponge over the container to remove any excess fabric softener. 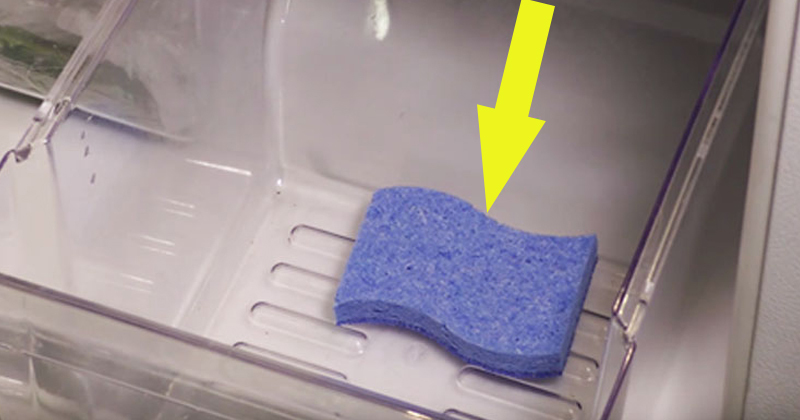 Place the sponge in the dryer with your laundry just like you would a normal dryer sheet. Once your laundry is done, place the sponge back into the container for another time. You can reuse them endlessly. Just be sure to replace the water and fabric softener every 2 to 3 months. Use sponges as ice packs. 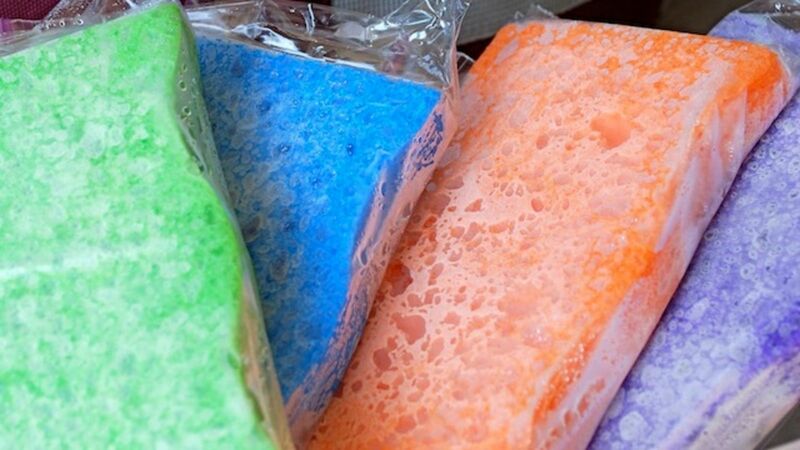 All you need to do is take a standard kitchen sponge, soak it in water, put it inside a Ziploc bag, and freeze it. When you’re done, you have an ice pack. The handy thing is that when the ice starts to melt, the sponge soaks up the water so it doesn’t leak everywhere. Add sponges to the bottom of plant pots. It will prevent water from dripping out the bottom of the planter and destroying surfaces. It has happened to me too many times until I discovered this great idea. My personal favorite use for household sponges is to put them in the bottom of the crisper of my refrigerator. 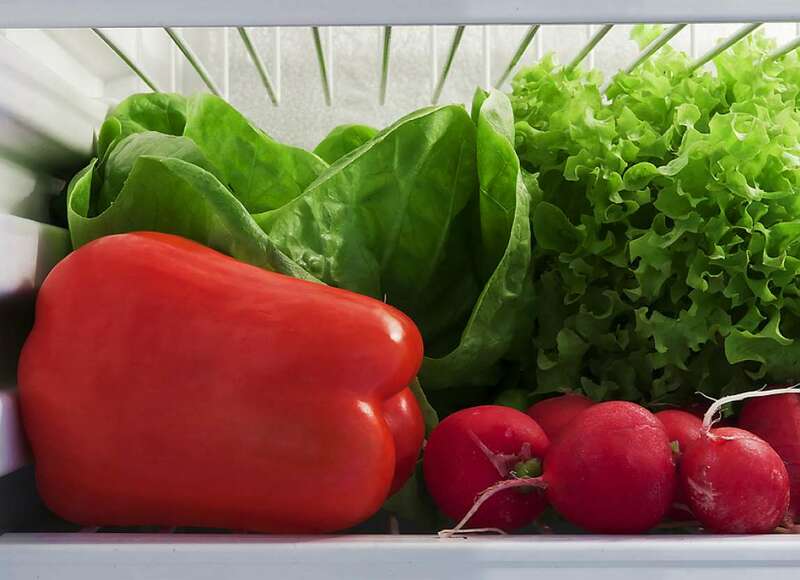 This will keep your vegetables fresher for longer by preventing moisture from accumulating in the bottom of the refrigerator crisper. 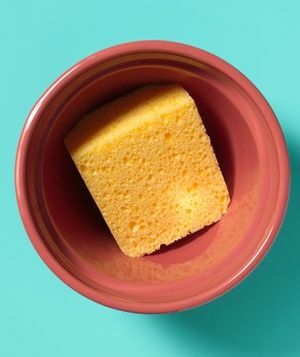 Line the bottom of the drawer with dry sponges and replace any time they seem wet. Removing this excess moisture will help keep veggies at their peak. This also helps keep your crisper clean. Simple things like household sponges can have many uses and are indeed . A Wandaful Thing! What do you use household sponges for? Thanks for stopping by. I hope to see you back here. This entry was posted in Simple Things and tagged cheap, DIY, easy, easy freezer packs, fabric softener, Food, ideas, plant pot, refrigerator, Simple Things, sponge, sponge ice pack, veggie, ways to use sponges. Bookmark the permalink. Great idea. I am going to one in fridge crisper. Always looking for ways to help my plants especially bottom of pots before dirt is put in for drainage. Good idea.